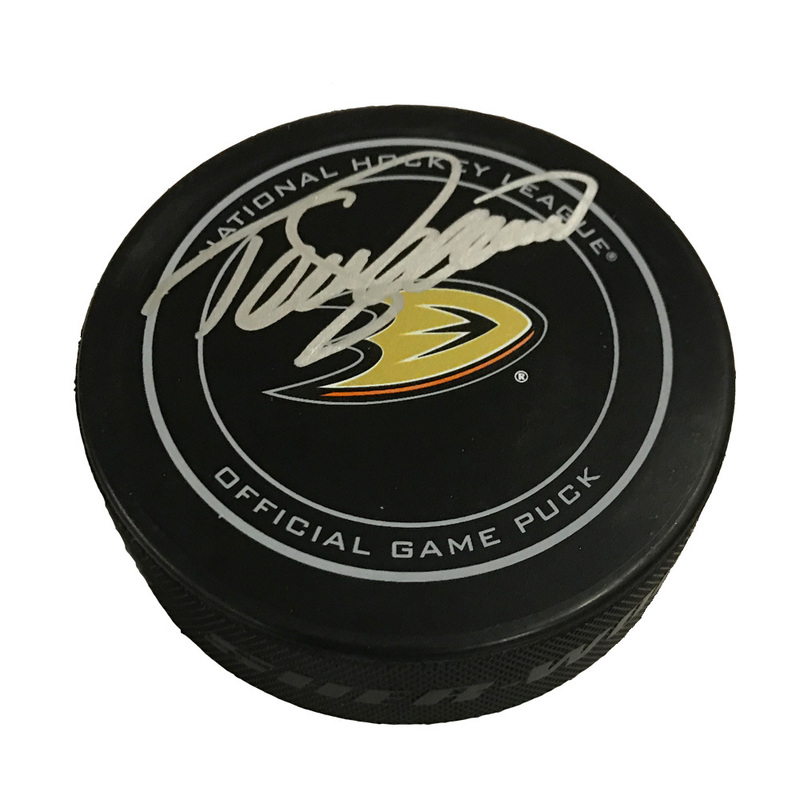 Autographed Teemu Selanne Anaheim Ducks Puck. This puck would make a terrific addition to your collection. All of our Autographed Memorabilia comes with our Certificate of Authenticity. Thanks and GOOD LUCK !! For winners located in the state of Michigan a 6% sales tax will be charged. For items being shipped outside of the United States, winning bidders will be responsible for all tariffs, taxes, duties and any other additional costs.